The Gallery is more than just an art shop. Started with a modest exhibition during the summer months, is the Gallery eventually evolved into a large workshop, where you can follow the artist in his development throughout the year. In the Gallery, the stories of the lakes and the sea come together, experiences of the artist and his public. You will find a large collection of works of art by Marco Käller, paintings in oil and acrylic, drawings, art- and screen prints. 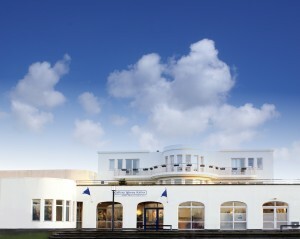 Its strategic location along the IJsselmeer, near the Waddenzee makes this place particularly suitable to work on a comprehensive oeuvre. With the boat on the water and roaming along the coast finds Marco always new motives and stories. That way he renews his exhibitions constantly. Opening hours and the program can be found in the agenda. 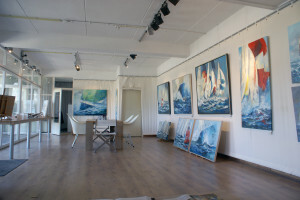 Gallery Marco Käller is positioned next to the IJsselmeer – you can reach the gallery by boat or car.